Mozilla’s mobile division was kind enough to share some of their progress towards the full inclusion and natural Firefox in tablets. All this work has to do, of course, with making a user interface that meets a series of design considerations. 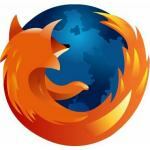 We know we are not starting from scratch, but from what has been done with the mobile version of Firefox, currently in its sixth edition, like the desktop version. It is an “evolution,” say its creators, in the process of adjusting to a larger screen. The tablets are increasingly present in our lives, and the applications installed on mobile we can not take advantage of them all the potential dimensions of the displays of tablets offered. 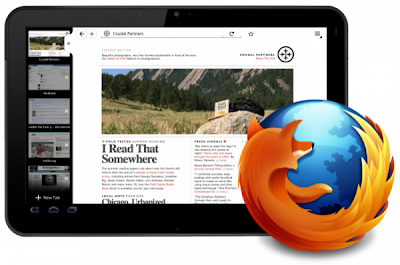 Today we know how they will be the Firefox browser for tablets. It is, therefore, an evolution of existing applications for mobile platforms, with a series of improvements if they take advantage of the screen tablets. Starting with the visuals, we find a minimalist design that fits perfectly into Android 3.0 Honeycomb, but nevertheless, you have the visual elements that lets us know that we are in Firefox. Let the AwesomeBar , which is as well call the sidebar tabs giving access to different menus depending on whether we go to the markers, our history or synchronize with our desktop Firefox browser. With respect to the mobile version, in this version AwesomeBar moves to the left, making it easier to use and display more results. 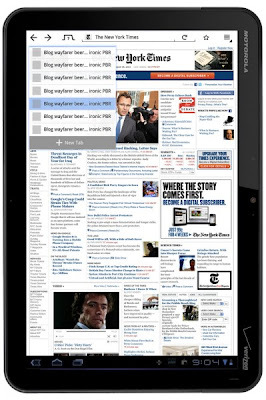 If the mobile version, it is necessary to hide visual elements to exploit the full screen version in the tablets can bring some of these items back, as are the tabs. 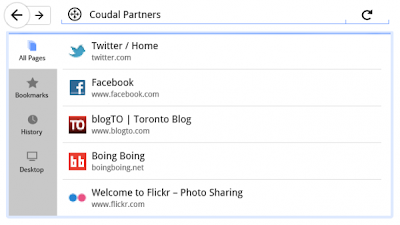 In landscape mode have a sidebar tab represented by thumbnails of the websites that we open, so quickly we can know what is behind them and access their content. 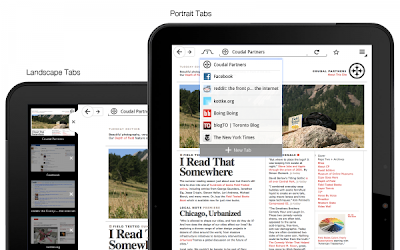 In portrait mode shrinks in a menu item to be located at the top, displaying when processing each of the tabs of pages that have open. I have no doubt that Mozilla is working seriously to provide beautiful Firefox, functional, great performance on mobile devices, also in tablets. This is really noticeable from the fourth version of the browser. It is certain that the progress shown here will enjoy soon. However, saying “Firefox for tablets” is practically the same as saying “Firefox Android Honeycomb.” I wish we could have Firefox in IOS and all kinds of operating systems for tablets. The problem is technical or political when Apple only supports WebKit browser-centric, and a real hardship for those who prefer the spirit of the red panda to surf the web. Now what remains is to wait for Firefox may be available for us to test and compare their performance compared with other available browsers.